September 2016 - New New ... 28MHz beacon in progress. More new soon! 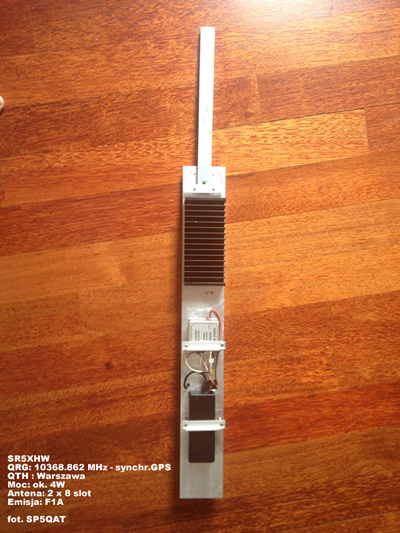 September 2016 - 10GHz beacon SR5XHW is back on air from KO01KX. 144m ASL and 40m AGL. More new soon! 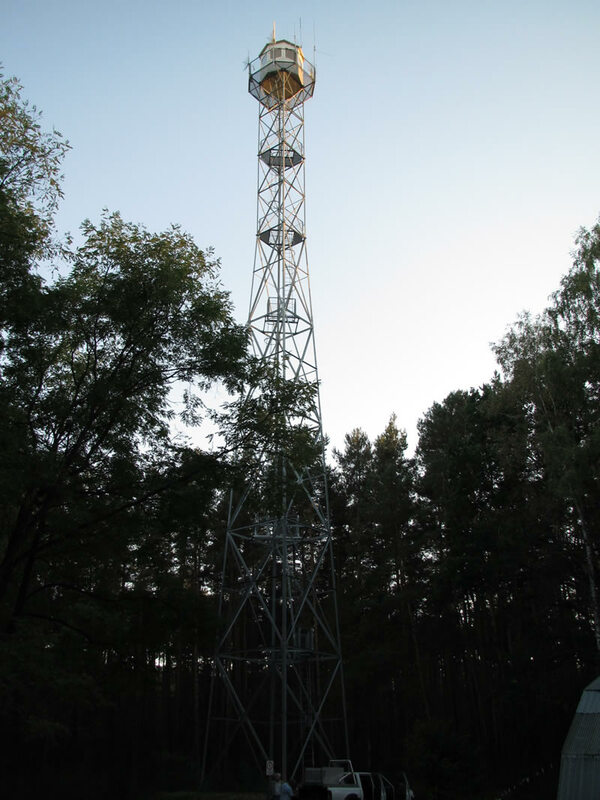 1st September 2016 - 50MHz and 70MHz beacons are operational. 2m and 70cm beacons are QRT. 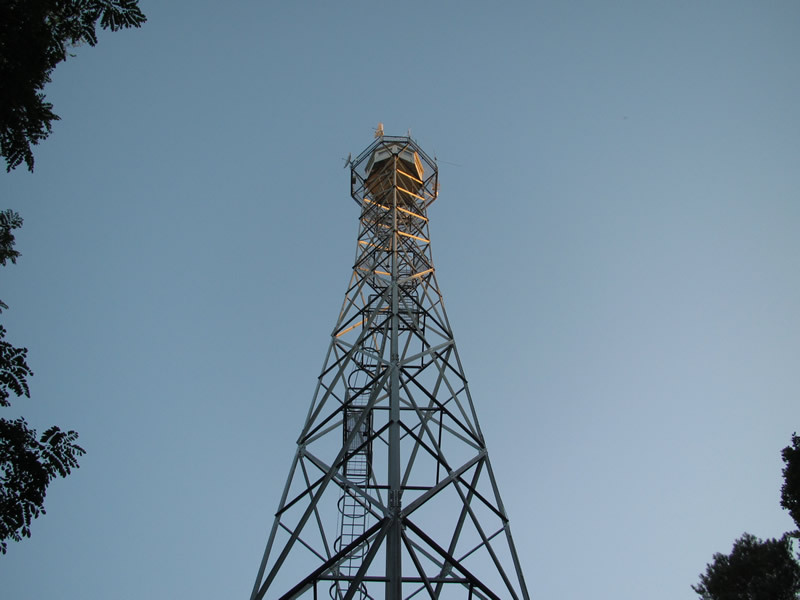 1st March 2015 - All beacons are back operational. Rubidium refrence has been replaced. Thanks to SP5MX and SQ5ALQ !!!! 1st December 2014 - We have exprienced AC main power loss. Rubidium reference looks to be broken. 1 June 2013 - Preventive maintenance - DONE !!! 11 may 2013 - Preventive maintenance !!! Spots are welcome via DX-Cluster. GL in RS season 2013 !! 24 April 2013 - New Sporadic Es season has started. New 4m beacon in progress !! 24 August - SP5V-U-LHW are QRT -Manitenance be back on 29th of August. Po dwóch miesiącach znowu doskonale słyszę beacon 70cm 432,460MHz SR5UHW od 559-do599+20dB. SR5LHW 1296,862 słyszę czasami (rano i wieczorem) do 559! Dzięki! 10 June - SR5UHW - temprary QRT. Power supply problems. 19 October 2010 - 17.46utc Surprise Sporadic Es!!!! 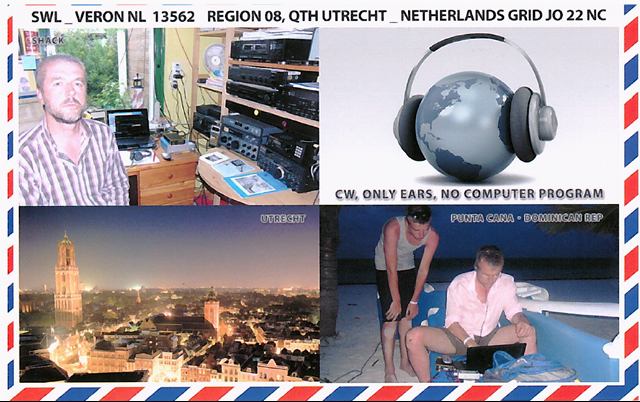 First reports of SR5FHX from SV8CS and SV2DCD. 5 October 2010 - 17.00utc SR5FHX is back on air from KO02KH. North-West part of Warsaw. 5 October 201- We have received nice letter from our Friends in Lithuania. Big Thanks !! 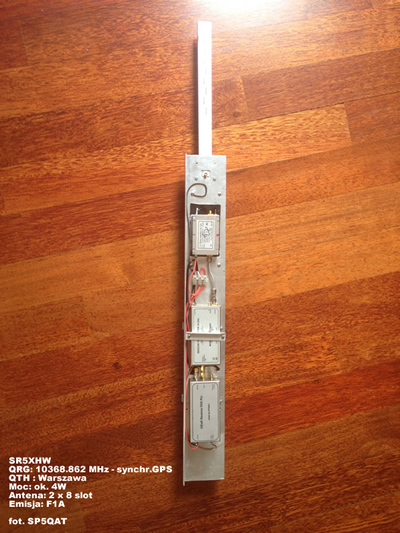 We would like to thank you and other hams who installed excellent beacon SR5VHW/SR5UHW/SR5LHW. Please find some video by Oleg LY3UE of 2-Oct-2010. It was not very good tropo, just little. Hope for some BIG tropo coming weekend! 09 September 2010 - SR5FHX . We are working in new QTH vertical antenna 5/8 is already fixed onthe mast. 22 August 2010 - SR5FHX . We are working in new QTH. New locator KO02KH. 16 August 2010 - SR5FHX - QRT. We are hardly working in QTH. New locator KO02KH. 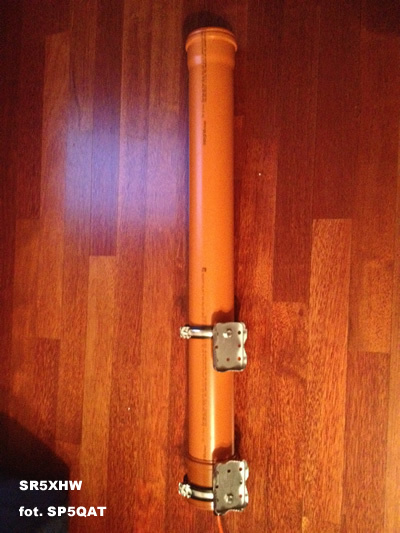 New antenna 5/8 vertical in progres. 14 August 2010 - SR5LHW on 23cm became operational. Spots via DXCL are welcome. 10 August 2010 - SR5FHX planned to be instaled in new QTH. For 24h operation.